A year after the final showdown with The Armada's leader in Valencia Part 2, Pirate101 is finally getting another update. But not a major one; at least, not for now. "The first episode involves our good friend Captain Avery asking for yet more assistance, this time in an Ambassadorial role. Skull Island is on the cusp of becoming a true, legitimate republic. Your exploits have helped other major powers realize that Skull Island should not be ignored; and Avery is positively giddy at the prospect of wealth and power. Navigate your way through the needy Ambassadors’ whims, and perhaps you can help Avery succeed with something he’s been trying to realize for FIVE LONG YEARS." 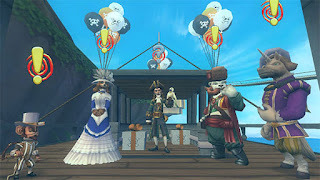 So what can Pirate101 players actually expect in the next update? "We're doing step one, which is giving you some space to fight amongst yourselves (and some badges for bragging rights). If this is popular, fun, and something a lot of you enjoy, we’ll take more steps. 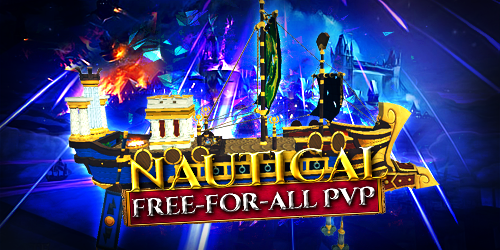 Currently, we’re talking about expanding this in future updates, by making different modes, doing some tweaks and rebalancing ship combat in general; and of course building in a ranking/match-making system like PvP." Pirate101 will be getting a Team-Up Kiosk very soon, just like the one that operates in Wizard101. For those of you who don't play the latter, the Team-Up Kiosk displays a list of all teams that are waiting for additional members, for a specific dungeon or boss fight. KingsIsle is also going to implement a new mechanic that allows our Companions to be a little more independent, by making their own decisions. A preview of this new feature was shown during this month's KI Live, that you can watch below. There are more things in store for us that weren't revealed in the latest Producer's Letter, but Falmea confirmed that a Test Realm is coming very soon to Pirate101!